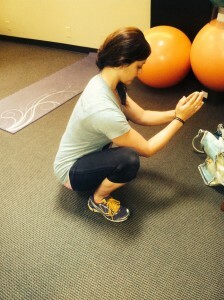 Jessica places her clients in developmental positions to stimulate the body’s stabilization muscles. 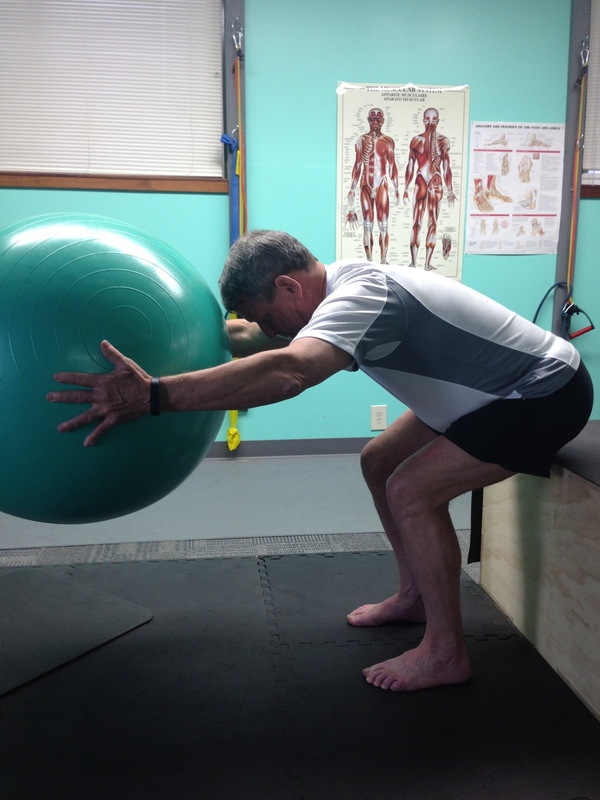 These positions mimic the moves a person innately follows from infancy to a standing child. 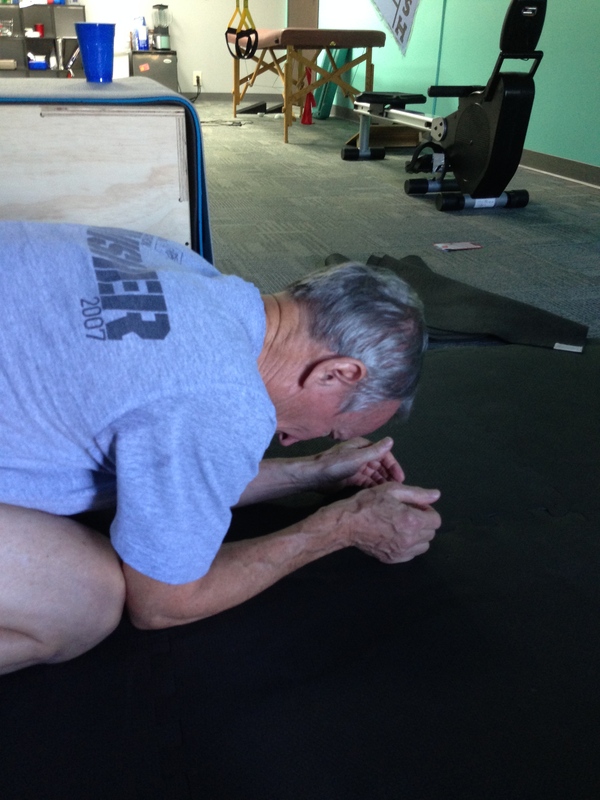 This type of exercise helps to remove learned compensation patterns that produce pain and injuries to your body. 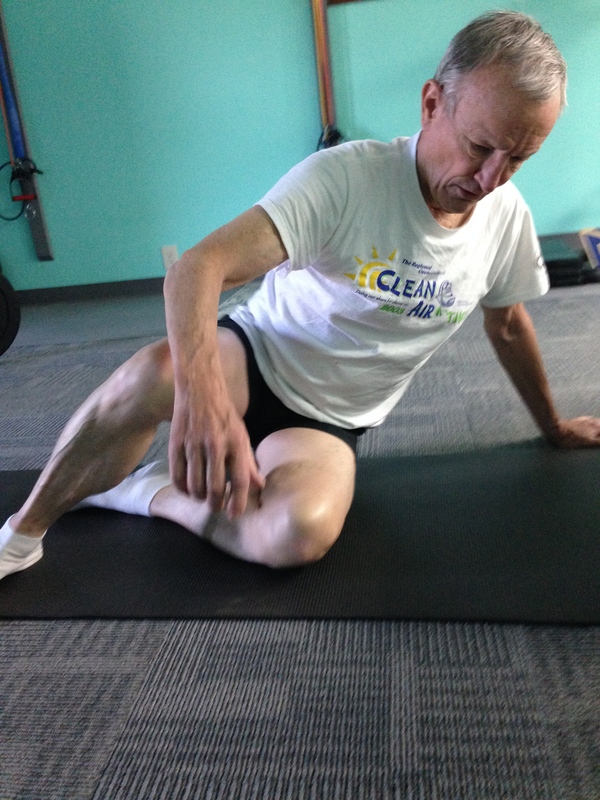 This type of exercise secures your joints in their centric position to maximize their support. This is in turn produce fluid movement without restrictions. 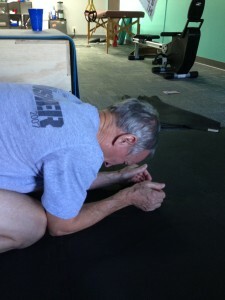 (Some moves are contraindicated for certain injuries. Arthritis and irregular bone formation may restrict some positions). Diaphragmatic breathing is first and foremost in this type of exercise. 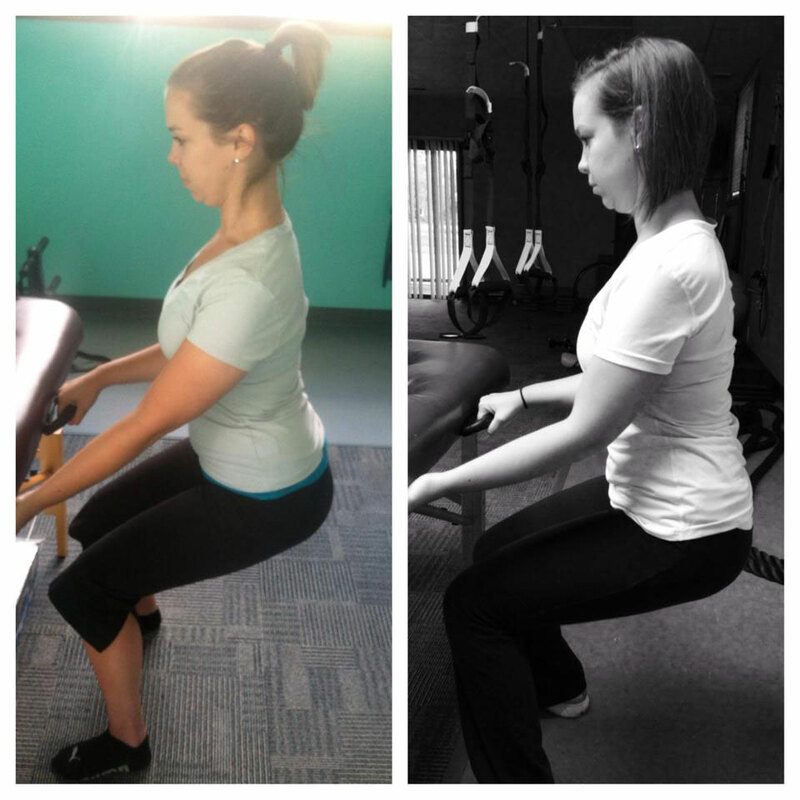 From there the client and Jessica come up with a plan that will produce stability in their muscular/joint function. 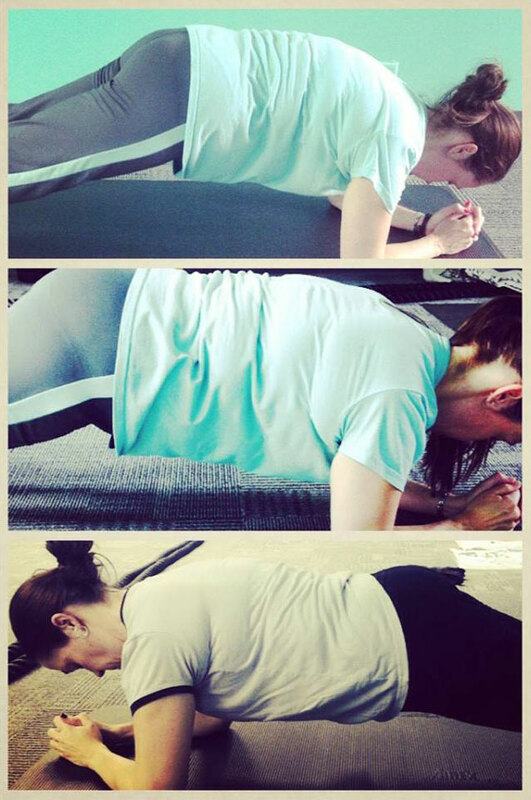 This training process is slow moving and can be frustrating as you shut off your body’s compensatory habits. 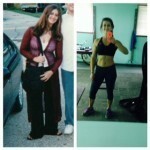 It takes months and sometimes years to correct unhealthy body mechanics but people who have accomplished it say without hesitation that it’s worth it in the end. Prepare to be patient. Please email or call Jessica with questions or if you’re interested in learning more about this truly life enhancing training. 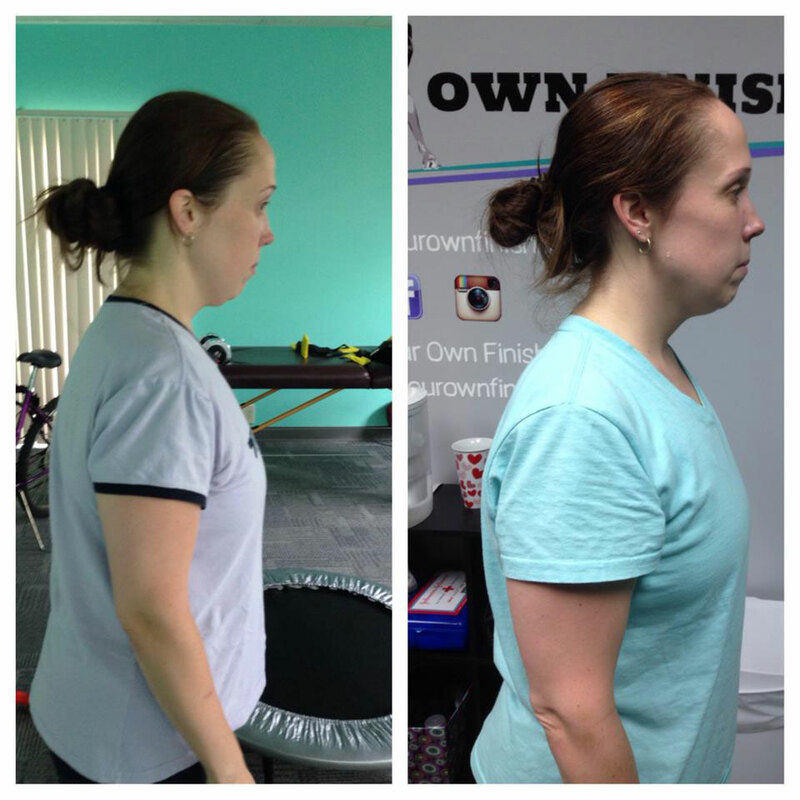 Jessica’s Body Changes: Eliminated pronation at foot(inner foot dropping to ground with each step), equal trap tone on shoulders(one shoulder is no longer higher than the other), eliminate lateral shift of head, elbows rotated towards midline, better glute functioning, stronger deep neck flexors, maximized thoracic extension instead of having a forward head position. 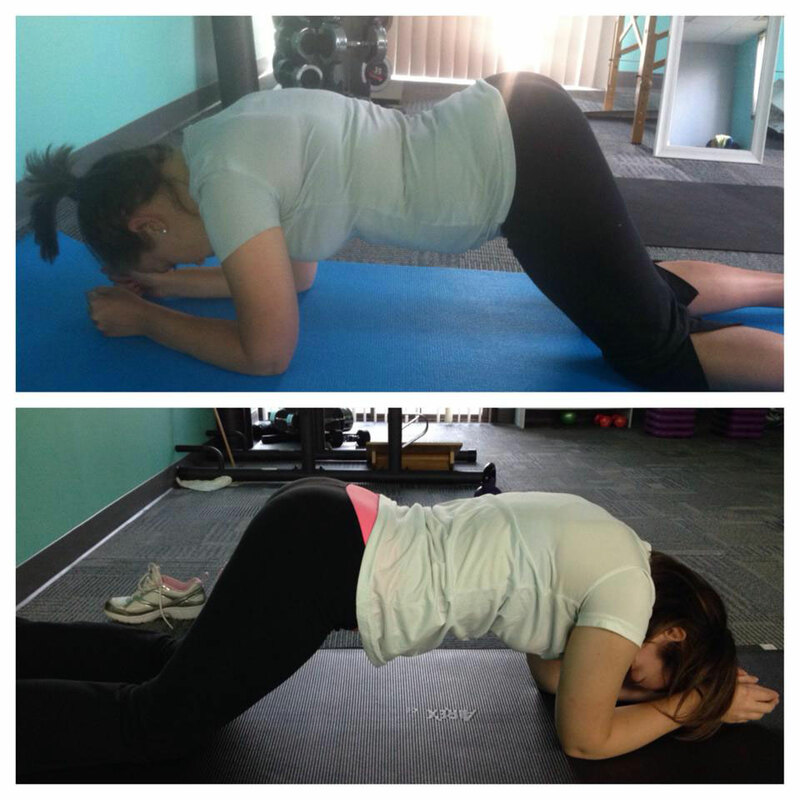 Bottom Photo: Emily Gilbride, after three months of training. 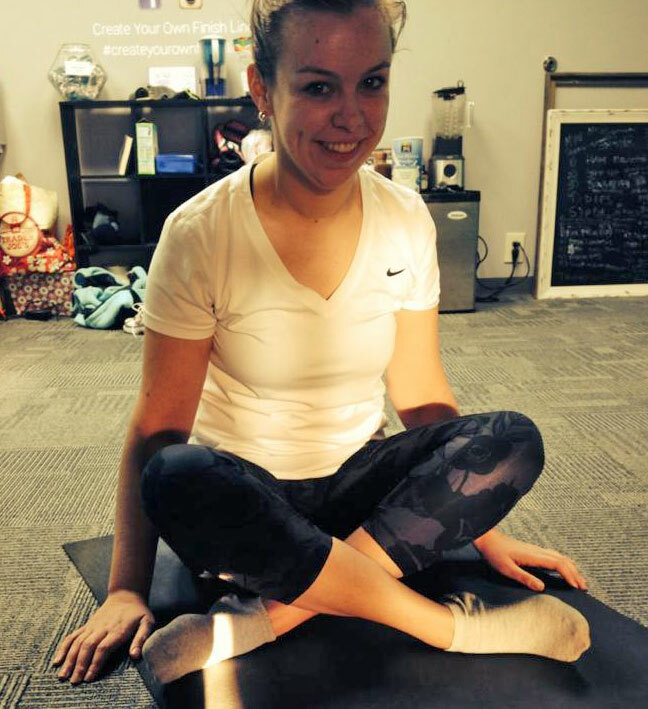 Emily works through her DNS exercises twice a week to assist with her Cerebral Palsy Symptoms. It’s helped her to loosen her erectors and adductors making her gait more relaxed. Emily feels less stress to her back from this exercise training. She has better control of her core.